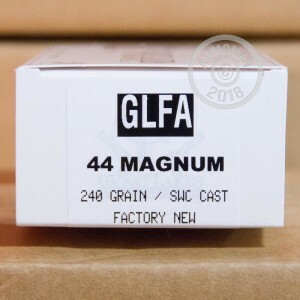 For better feedback when target shooting your .44 Magnum revolver or carbine, grab a few of these 50-round boxes of ammunition from Great Lakes Ammunition. 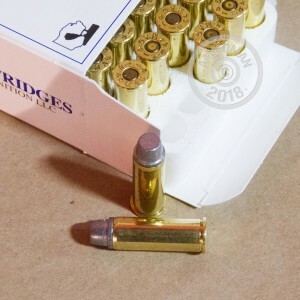 These cartridges fire a 240 grain lead semi wadcutter bullet that punches a nice round hole in your target. 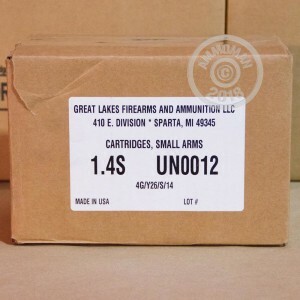 Great Lakes Ammunition is an ammo manufacturer based in eastern Michigan. This is one of their factory new loads using never-fired brass and non-corrosive Boxer primers. Remember to check with indoor ranges prior to shooting this ammo there.